1. Злокачественные новообразования в России в 2010 году (заболеваемость и смертность). Под ред. В.И. Чиссова, В.В. Старинского, Г.В. Петровой. М., 2012. 260 с. [Malignant neoplasm in Russia in 2010 (morbidity and mortality). Ed. 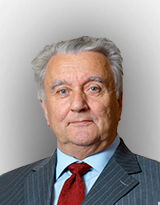 V. Chissov,V. Starinsky, G. Petrova. Moscow, 2012. 260 p. (In Russ.)]. 2. Lawrentschuk N., Colombo R., Hakenberg O.W. et al. Prevention and management of complications following radical cystectomy for bladder cancer. Eur Urol 2010;57:983–1001. 3. Hollenbeck B.K., Miller D.C., Taub D. et al. Identifying risk factors for potentially avoidable complications following radical cystectomy. J Urol 2005;174:1231–7. 4. Shabsigh A., Korets R., Vora K.C. et al. Defining early morbidity of radical cystectomy for patients with bladder cancer using a standardized reporting methology. Eur Urol 2009;55:164–76. 5. Chang S.S., Cookson M.S., Baumgartner M.G. et al. Analysis of early complications after radical cystectomy: results of a collaborative care pathway. J Urol 2002;167:2012–6. 6. Johnson D.E., Lamy S.M. Complications of a single stage radical cystectomy and ileal conduit diversion: review of 214 cases. J Urol 1977;117:171–3. 7. Skinner D.G., Crawford E.D., Kaufman J.J. Complications of radical cystectomy for carcinoma of the bladder. J Urol 1980;123:649–53. 8. Thomas D.M., Riddle P.R. Morbidity and mortality in 100 consecutive radical cystectomies. Br J Urol 1982;54:716–9. 9. Daneshmand S., Ahmadi H., Schuckman A.K. et al. Enhanced recovery after surgery in patients undergoing radical cystectomy for bladder cancer. J Urol 2014;192(1):50–6. 10. Hautmann R.E., Abol-Enein H., Davidsson T. et al. ICUD-EAU International Consultation on Bladder Cancer 2012: urinary diversion. Eur Urol 2013;(63):67–80. 11. Menon M., Hemal A.K., Tewari A. et al. Nerve-sparing robot-assisted radical cystprostatectomy and urinary diversion. BJU Int 2003;92(3):232–6. 12. Challacombe B.J., Bochner B.H., Dasgupta P. et al. The role of laparoscopic and robotic cystectomy in the management of muscle-invasive bladder cancer with special emphasis on cancer control and complications. Eur Urol 2011;60(4):767–75. 13. Smith A.B., Raynor M., Amling C.L. et al. Multi-institutional analysis of robotic radical cystectomy for bladder cancer: periopetative outcomes and complications in 227 patients. J Laparoendosc Adv Surg Tech A 2012;22:17–21. 14. Паршин А.Г. Радикальная цистэктомия с отведением мочи в сегмент подвздошной кишки: результаты и осложнения (клиническое исследование). Автореф. дис. … канд. мед. наук. 2004. 159 с. [Parshin A.G. Radical cystectomy withurine diversion to ileum segment: results and complications (clinical study). Synopsis of thesis … of Ph.D. Med. 2004;159 p. (In Russ.)]. 15. Stenzl A., Cowan N.C., De Santis M. et al. Treatment of muscle-invasive and metastatic bladder cancer: update of the EAU guidelines. Eur Urol 2011;59(6):1009–18. 16. Somani B.K., Gimlin D., Fauers P., N’dow J. Quality of life and body image for bladder cancer patients undergoing radical cystectomy and urinary diversion – a prospective cohort study with a systematuc review of literature. Urology 2009;74: 1138–43. 17. Philip J., Manikandan R., Venugopal S. et al. Orthotopic neobladder versus ileal conduit urinary diversion after cystectomy – a quality-of-life based comparison. Ann R Coll Surg Engl 2009;91:565–9. 18. Петров С.Б., Левковский Н.С., Король В.Д., Паршин А.Г. Радикальная цистэктомия как основной метод лечения мышечно-инвазивного рака мочевого пузыря (показания, особенности техники, профилактика осложнений). Практическая онкология 2003;4(4):225–30. [Petrov S.B., Levkovskiy N.S., Korol V.D., Parshin A.G. Radical cystectomy as the main method of muscular invasive bladder cancer (indications, special features of procedure, prevention of complications). Prakticheskaya onkologiya = Practical Oncology 2003;4(4):225–30. (In Russ.)]. 19. Gill I.S., Kaouk J.H., Meraney A.M. et al. Laparoscopic radical cystectomy and continent orthotopic ileal neobladder performed completely intracorporeally: the initial experience. J Urol 2002;168: 13–8. 20. Dindo D., Demartines N., Clavien P.A. Classification of surgical complications. A new propisal with evaluation in a cohort of 6336 patients and results of a survey. Ann Surg 2005;240:205–13. 21. Martin II R.C., Brennan M.F., Jaques D.P. Quality of complication reporting in the surgical literature. Ann Surg 2002;235:803–13. 22. Azzouni F.S., Din R., Rehman S. et al. The first 100 consecutive, robot-assisted, intracorporeal ileal conduits: evolution of technique and 90-day outcomes. Eur Urol 2014;63(4):637–43. 23. Huang J., Lin T., Liu H. et al. Laparoscopic radical cystectomy with orthotopoic ileal neobladder for bladder cancer: oncologic result of 171 cases with a median 3-year follow- p. Eur Urol 2010;58(3):442–9. 24. Ng C.K., Kauffman E.C., Lee M.M. et al. A comparison of postoperative complications in open versus robotic cystectomy. Eur Urol 2010;57(2):274–81. 25. Hendrickson J.E., Hillyer C.D. Noninfectious serious hazards of transfusion. Anesth Analg 2009;108:759–69. 26. Kox M.L., El-Galley R., Busby G.E. Robotic versus open radical cystectomy: identification of patients who benefit from the robotic approach. J Endourol 2013;27:40–4. 27. Castillo O.A., Abreu S.C., Mariano M.B. et al. Complications in laparoscopic radical cystectomy. The South American experience with 59 cases. Int Braz J Urol 2006;32(3):300–5. 28. Ramirez J.A., McIntosh A.G., Strehlow R. et al. Definition, incidence, risk factors and prevention of paralytic ileus following radical cystectomy: a systematic review. Eur Urol 2013;64(4):588–97. 29. Chang S.S., Baumgartner R.G., Wells N. et al. Causes of increased hospital stay after radical cystectomy in a clinical pathway setting. J Urol 2002;167:208–11. 30. Anderson C.B., Morgan T.M., Kappa S. et al. Ureteroenteric anastomotic strictures after radical cystectomy - does operative approach matter? J Urol 2013;189(2):541–7. 31. Albisinni S., Limani K., Ingels L. et al.Long-term evaluation of oncologic and functional outcomes after laparoscopic openassisted radical cystectomy: a matched-pair analysis. World J Urol 2014, in press. 32. Madersbacher S., Schmidt J., Eberle J.M. et al. Long-term outcome of ileal conduit. J Urol 2003;169(3):985–90.